One year ago this week, Google (GOOGL) officially formed a new holding company called Alphabet to organize its many ambitious projects. 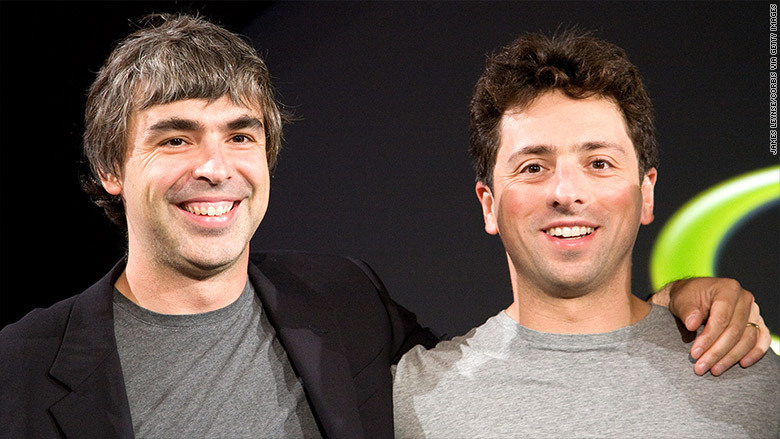 Its venture capital arms, life sciences division, moonshot lab and Google itself each became independent entities with their own CEOs, operating under the Alphabet umbrella. For those who work in Google's core Internet business, not much changed. The word "Alphabet" is rarely brought up in conversation today. The offices remain filled with perks. Sundar Pichai, the well-liked executive who ran much of Google before the restructuring, now serves as Google's CEO. The biggest difference may be that Google's leadership can better focus on the future of Google's consumer products -- some of which are expected to be unveiled at a media event on Tuesday -- without discussing far flung plans to develop smart contact lenses. But for Alphabet divisions not named Google, the change has been more noticeable, according to interviews with current and former employees who spoke on condition of anonymity, citing relationships with the company. 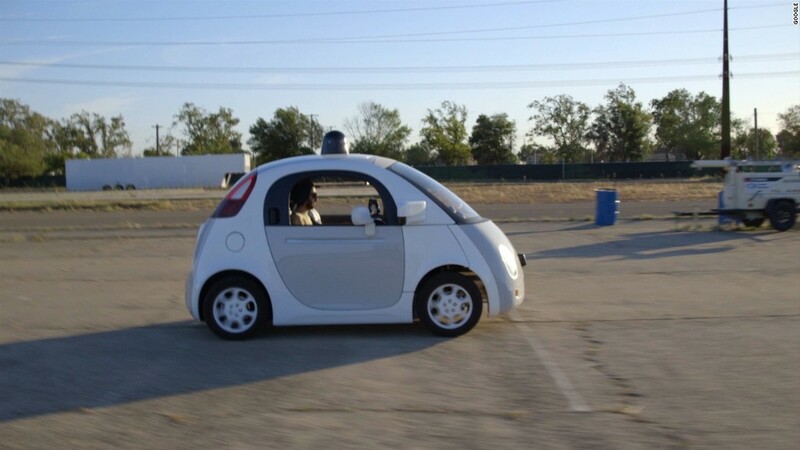 Larry Page, the cofounder and previous CEO of Google, now spends more of his time offering guidance to Alphabet's experimental groups like self-driving cars, according to former employees. The founder's involvement shows Alphabet's commitment to these groups, but there is a downside. Under Alphabet, and CFO Ruth Porat, there is more focus on accountability and managing costs. That has created tensions with some employees who thought Google offered the chance to work on ambitious projects without worrying about the company's bottom line. At Verily, Alphabet's health research group, employees are now partly compensated with a new class of Verily stock, according to a former employee. It's intended as an incentive to grow the division and share in the financial returns just like with a typical startup. Not everyone embraced it. "Some people were like, 'I didn't sign up for this risk, because in theory this Verily stock could go to zero and that's not why I signed up for Google,'" the former employee says. At Nest, the smart home device maker that Google acquired in 2014 for $3.2 billion, executives were initially promised the freedom to innovate without worrying about Google, according to a source familiar with the matter. After the creation of Alphabet, however, Nest employees felt pressure from above to cut costs, the source says. More than that, Nest was forced to begin paying for legal and public relations services previously covered by Google. Andrea Faville, a spokeswoman for Google, declined to comment for this story. It's a far cry from the old days at Google. For years, costly new experiments were funded by the company's incredible success making money from online advertising -- and losses from these projects were not broken out for investors to scrutinize. Now Alphabet lists sales and losses from its moonshot projects with a category in its financial statements called "Other Bets." That segment's losses rose to $859 million in the quarter ending in June. Wesley Chan, a longtime Google executive who left the company the year before it became Alphabet, remembers Google giving away an estimated $200 million worth of coupons to users to find traction for its commerce efforts, with limited success. Profitability and cost management weren't top concerns. "When you had Google's cash cow coming in, you had the liberty of doing things that weren't quite possible," Chan says. That may not have been a winning pitch for Wall Street, but it did open the door for more bold experimentation. "There's still people that feel there's some boldness there," Chan says of people working at Google now, "but it's grown up." Page hinted at the need for shifting Google's approach in his original letter announcing the restructuring, saying the goal was to make the company "cleaner and more accountable." Investors have generally cheered this way of thinking. Alphabet's stock has soared in the last year. It overtook Apple as the most valuable company in the world on multiple occasions. But there have been growing pains internally. Google has reportedly pushed Fiber, its high-speed Internet division, to cut half its staff. Boston Dynamics, an advanced robotics project that it acquired, is said to be up for sale. Just in the first year, Alphabet has lost top executives from several key projects, including Tony Fadell at Nest, Bill Maris at Google Ventures and Chris Urmson with Google's self-driving car group. Porat, the Alphabet CFO who was brought in to manage costs and appeal to Wall Street, has stressed on recent investor calls that the company can develop "new sources of revenue growth" from its various projects "in a disciplined way." "My concern is are they still maintaining the font of creativity and experiments that they want to," says Frank Gillett, an analyst with Forrester. "I'm not clear that the new model is the right way to do that."